This year sees the new edition of Modjaji Books’ Small Publishers’ Catalogue, which updates the first edition of 2010. Publishing Perspectives have called this one ‘a beauty’, and indeed it is, in concept and design. The print copy is, again, a lovely size, great to hold and look at, and where you can really appreciate the fit between its form and content. It’s also available digitally (see the end of the post for stockists). Perhaps the definition of a text that does its job well, it’s difficult to say anything about it that isn’t in the publication itself – it’s a hugely useful resource for anyone who cares about the invaluable contribution small publishing and independent publishing makes to literary culture in Africa – all those that Colleen Higgs, compiler, editor and driving force behind the Small Publishers’ Catalogue and South Africa based small publisher Modjaji Books, thanks as she introduces the Catalogue on Modjaji’s blog. 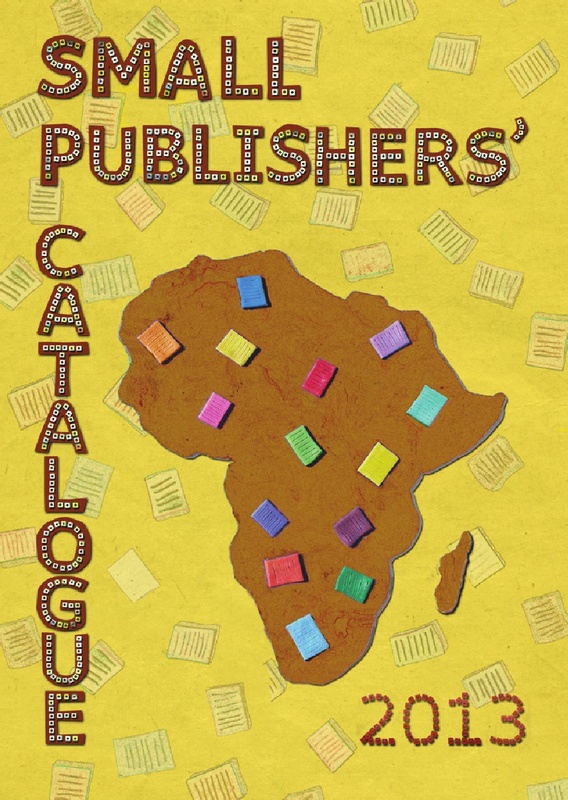 Certainly the sense of encouragement of networks of small publishers of African writing, and also of those writers and readers of African print from across Africa comes across; the Catalogue‘s celebration of this important but perhaps not so visible work runs right through it. There is also a comprehensive review of literary activity in Accra by Manu Herbstein; a testament to the inspiration of Modjaji being invited to the Frankfurt Book Fair to exhibit through the Fair’s Invitation Programme, where a group of small publishers from Africa, Asia and Latin America are supported to participate (also by Higgs); and an article by Robin Malan, founder of the publishing house Junkets, which publishes new South African plays – another area neglected by mainstream publishers – and the GayJunkets titles. In what can be a brute, uneven commodity driven market, Modjaji’s Small Publishers’ Catalogue highlights important and vigorous creative work, and the ways that networks of readers, writers and publishers can work together to build relationships and develop support locally and internationally. It also acknowledges that there’s room for plenty more to come. To buy a print copy, contact Colleen Higgs at cdhiggs@gmail.com. Digital copy is available to download here. For more on Modjaji Books see AiW’s Q&A with publisher Colleen Higgs.